B.K.S. 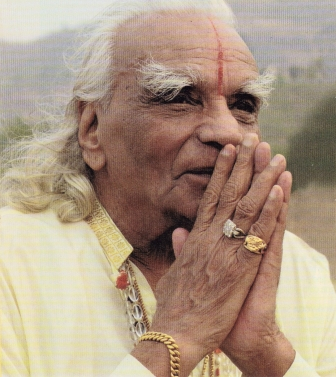 Iyengar is widely credited with popularising yoga in the West through his teaching and with the publication of his definitive book 'Light on Yoga' in 1966. His system is based on the ancient yogic teachings set out in the Sutras of Patanjali and evolved over many years of dedicated practice. Iyengar yoga is accessible and inclusive. Regular practice can increase flexibility, strength and stamina and improve posture and concentration. The teaching emphasises precision and alignment. Props, such as blankets, blocks and belts may be used to improve the understanding of poses or to help with difficulties. The practice is progressive. Beginners start with standing poses and are gradually introduced to a fuller range of seated postures, forward extensions, inversions, twists, backbends and arm balances. No two classes are the same, teachers select from the different groups of poses and sequencing is very considered. The challenge, discipline and intensity of Iyengar Yoga make it a powerful and transforming practice. Working on a physical, mental and emotional level, the layers of the self are gradually revealed.